While racism continues to be a persistent and pervasive issue in our schools nationwide, the professionals charged with creating safe and nurturing educational environments have few resources available to address racism directly. Racialized Schools is on the leading edge of books that do just that and includes the latest research and praxis to help school personnel confront racism in a professional manner. A national qualitative survey of students, school counselors, teachers, and administrators sets the stage by providing readers with a 360-degree picture of today's schools and the many ways racism creeps into the lives of our students. The authors present a number of different models and perspectives on understanding and addressing racism, beginning with their own personal and professional experiences. Significant attention is also given to empowering school personnel and students to become racially aware, sensitive, and competent to address racism and racial conflicts in schools. 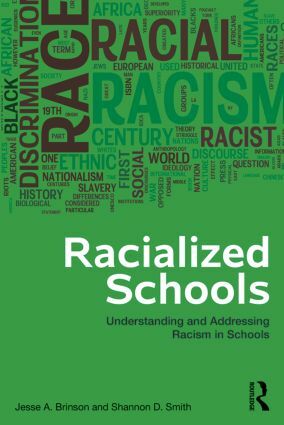 Racialized Schools is not only a comprehensive look at racism within our schools; it is also a practical tool for use by teachers, school counselors, administrators, etc., for implementing preventative measures to combat racism directly.